Brian Sheehan is associate professor of advertising at the S.I. Newhouse School of Public Communications, Syracuse University. Previously, he was with global creative powerhouse Saatchi & Saatchi for 25 years, with CEO roles at Saatchi & Saatchi Australia and Japan, and at Team One Advertising in Los Angeles. 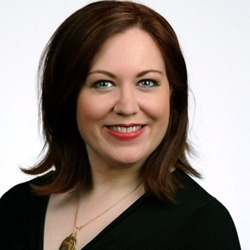 I invited Brian to Marketing Smarts to discuss his latest book, Loveworks: How the world's top marketers make emotional connections to win in the marketplace. 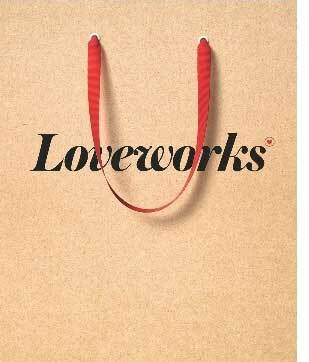 Loveworks is a follow-up to Kevin Roberts's Lovemarks: the future beyond brands. Brian's other books are Basics: Online Marketing (2010) and Basics: Marketing Management (2011). Here are just a few highlights from the thought-provoking conversation with Brian about how brands become "loved." Push your marketing to do more than inform: Strive to inspire (03:14): "The reality is people know what products do, and they know how they fit into their lives, but...some products can inspire you to do a lot more... [For example,] everyone knows what Guinness is...Guinness is a beer and can help make you feel better, it can even get you drunk if you drink too much of it, but Guinness's approach [in Nigeria] is really about the men of Nigeria, and inspiring them to be better for themselves, for their families, for their tribes, and for their community. That really came out of the fact that when this campaign started 15 long years ago, there were very few positive role models for men in Africa. Aside from the...example of Nelson Mandela, most of the role models for men in Africa were warlords, child soldiers, corrupt politicians, and Guinness took it upon itself to show not only that the beer fit into African society, but that the type of people it wanted drinking its beer were the type of people who were doing what was better for the future of Nigeria and Africa." Use audience research to uncover the truth, not to reach a predetermined conclusion (11:00): "Most companies, day to day, when they're talking to their consumers, they're often talking to their most loyal consumers. They want to stay especially close to them, and your most loyal consumers are constantly telling you what a great job you're doing. It's also human nature that—in any business—we want to tell our bosses what a great job we're doing. So, in general, most marketers have a very warped view of what the average consumer thinks about them. What also happens, in qualitative research in focus groups, you have people in an unnatural environment. Agency people come in with a list of questions, and they've already figured out what they think the answers are, so when someone in the focus group says what you think is the right answer, you start to nod your head, write it down, and it reinforces what you think the right answer is. "[Companies studied in Loveworks] didn't do that. They did ethnographic research. They started with no questionnaire. They actually went out and lived in the world of their consumers and got involved in their lives, and got a really honest view of what their relationship with the average consumer was like. People spend millions of dollars to research their consumers, and in many cases it gives them the exact wrong image of where they stand with the average consumer.... It can have the perception of truth, but it isn't necessarily truth." Cultivate an air of mystery for your brand (22:36): "Imagine that first time you fall in love... the fact that you don't know everything about them leads to a sense of attraction. The fact that they're slightly mysterious to you, and that really is not about not being open, it's about storytelling. If you tell really interesting stories, there's sort of a mystery to you, because you're a person, you're a brand who consistently comes up with these really interesting stories. A good example of that would be Geico. Geico does funny ads. Geico actually transformed the insurance category in the United States. Before Geico came along, insurance advertising was all very serious.... And what Geico's been able to do is not only do one funny campaign...they've been able to do 5 or 6 or 7 funny campaigns, all at the same time.... I think that adds a sense of mystery to them. Who are these guys who just keep coming up with really interesting, funny ways to get this message across that '15 minutes can save you 15% or more on your insurance?'" For more information, visit LoveworksTheBook.com or follow Brian on Twitter: @bjsheehan7. Brian and I talked about much more—so be sure to listen to the entire show, which you can do above, or download the mp3 and listen at your convenience. Of course, you can also subscribe to the Marketing Smarts podcast in iTunes or via RSS and never miss an episode! Brian Sheehan, author of Loveworks, Basics: Online Marketing, and Basics: Marketing Management.